Second course at Trump International Scotland faces regulatory roadblocks. The Mother Jones website from the USA has reported this week, that plans to expand President Trump’s controversial Aberdeen golf resort have hit both regulatory and environmental hurdles. Trump International Golf Links Scotland was initially conceived, prior to the 2008 Global Financial Crisis, as a 36-hole facility with hundreds of hotel rooms and more than 1,000 home sites. The total investment potential flagged by the Trump Organization was in excess of $1 billion, but five years after opening Trump has spent less than $100 million on the property and failed to deliver the jobs, infrastructure and tourism components previously promised. According to the website article, the two Trump golf properties in Scotland – Turnberry and Trump International – are losing millions of dollars every year. Plans to resurrect the profitability of the Aberdeen project hinge on delivering the housing component of the development, which was apparently consented on the grounds that it followed construction of the hotel and the second golf course. Last year the local planning board prevented the Trump Organization from restructuring its approval, and starting the residential development prior to the building of the second golf course. In a further blow to the Trump group’s expansion plans, both the Scottish Environment Protection Agency and Scottish Natural Heritage are now objecting to the second golf course on environmental grounds. Unless that golf course is approved, there can be no housing estate. The objections are primarily based upon concerns over the duneland to be developed. Like the first course, plans for the second 18 holes include dunes that are both fragile and mobile. The existing course has apparently experienced significant sandstorm damage on numerous occasions. Without housing and additional hotel rooms, it is difficult to see Trump International Golf Links as a viable and profitable business, unless tee times are far more popular than suggested in the Mother Jones article. Standard green fees to play the golf course are £235.00. Read our course review. 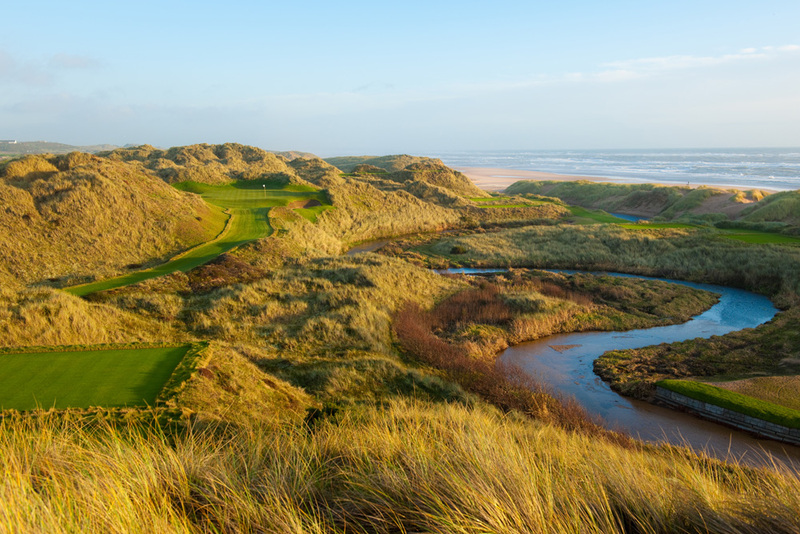 Two Scottish government agencies—the Scottish Environment Protection Agency and Scottish Natural Heritage, a conservation agency–say they will object to the Trump Organization’s plans to build a second 18-hole golf course at Aberdeen, known as the Trump International Golf Links. If they succeed in killing this expansion, it will be a major setback for Trump and raise doubts about the future profitability of the whole venture.